The pictures are beautiful – what gorgeous scenery. Thanks for sharing! Great recap, Meg! Makes me for the first time want to run this race. It would be my first CA race too, which would be great! You DEFINITELY should do it. It was beyond amazing, and it’ll be tough to find a race to top this one! Amazing recap! I love all your photos. Congratulations on finishing two marathons in less than two weeks! Incredible. Thank you! I pumped I was able to take them without stopping hehe. But you really can’t not take them – it’ way to pretty out there! Amazing recap. Between your post and Hannah’s I’m putting this race on my list for the next couple years 🙂 congrats again on a great race, and it sounds like this one was a much needed healing experience. Thank you so much! DEFINITELY put this race on your list. It’ll be hard to top this one, that’s for sure. And yes, it very much was a healing experience, one that was much needed. Hooray for you! Thanks for sharing!! You’re awesome! Really beautiful race, and great job on the finish! 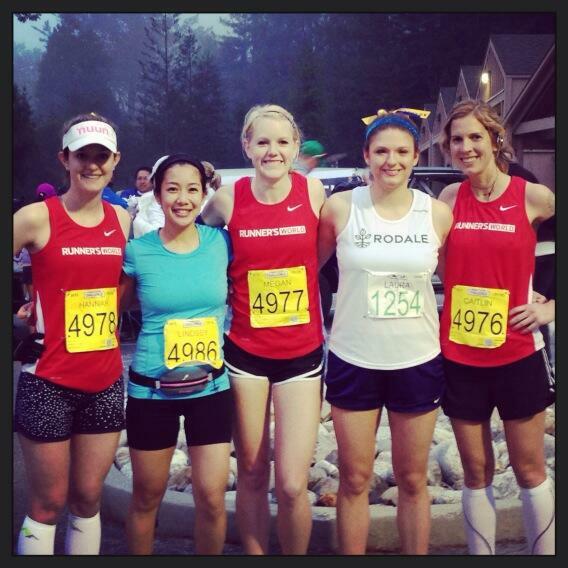 Thinking about doing two marathons in the fall — did you run any in-between? Do you mean between Boston and Big Sur? Yeah, I didn’t run at all Tuesday thru Saturday, then I ran Sunday thru Wednesday for maybe 4-6 miles. I did a short shakeout on Saturday, too. Not too much! Which are you thinking of doing? Yep, not to much! Just enough to shake out the legs and maintain fitness! But thank you! Keep in mind I also didn’t run my fastest in Boston – I’m learning that I recover faster if I’m slower than normal. And girl, take me with you! France sounds AMAZING! What a gorgeous race!!! Love the medal! !